In the past, we've gone over how to improve the architecture of windows, doors, walls and other such structures. 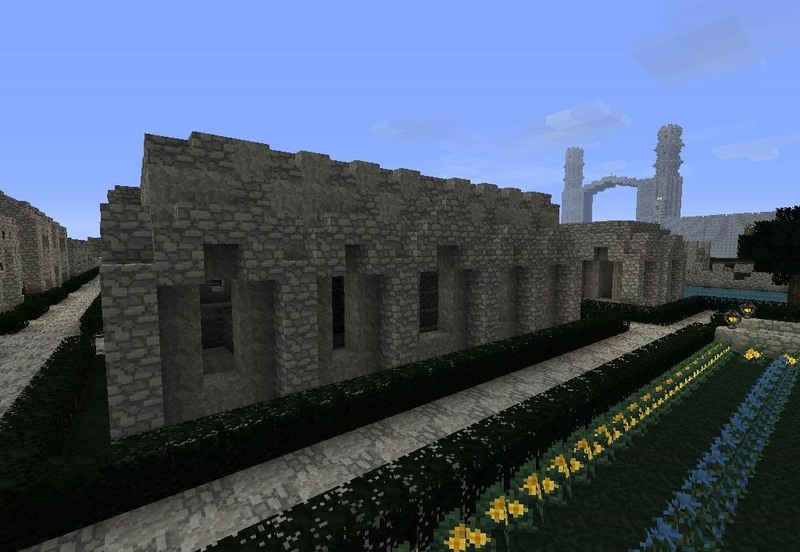 In last Saturday's workshop, we looked into some specific techniques in Minecraft for improving the architecture of your epic builds as a whole. These are techniques and ideas that can be applied to any build, across many styles and genres of architecture. Using themes or style motifs in architecture is central to a great build. Often otherwise beautiful work is ruined by a lack of an over arching theme. Not only does working with themes bring another level of beauty to a project, it helps pull them together into one cohesive work. Themes can be anything from a repeating geometric pattern, to the use of certain material throughout a build. Let's take a look at some work that utilizes an architectural theme to its advantage. (1) Notice the use of stone slabs in this building, as well as it's style of roofing. , (2) This theme is repeated here, in another building. While it is different, it retains similar style and block use as the first. (3) This third building carries a similar style roof to the last two, while straying away from the use of stone slabs. Together, the buildings above make for a cohesive project. While allowing for variation, they go together quite well. The theme used holds these builds together. 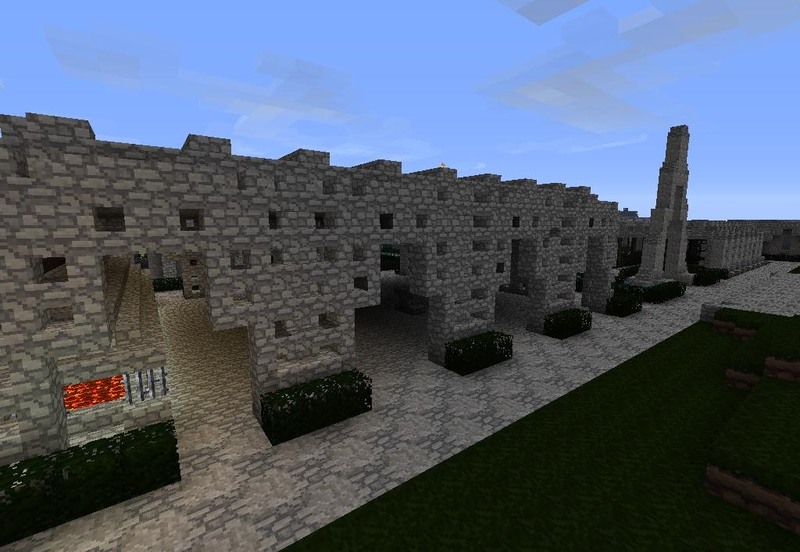 (1) Here is great stone gate near our server spawn. Pay attention to the shape of the archways within. (2) Here in this forge near the gate in the last picture, a similar branching shape can be seen in it's doorways. (3) Here in a garden a similar arched pathway presides. Walking through the builds above, one gets the feeling of moving through a single uniform entity. By using themes in your architecture, builds will no longer looked mismatched or haphazard and often they take on a new life. 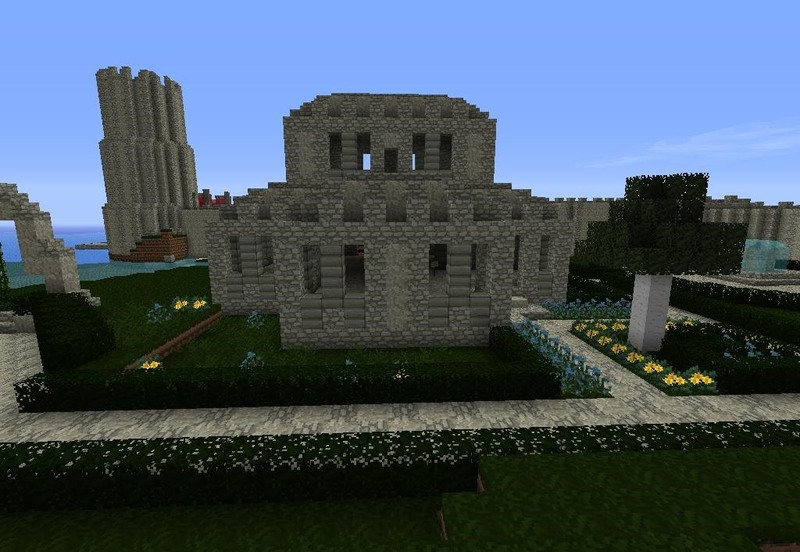 I have often seen epic builds (which are otherwise fantastic) lose their appeal due to a lack of landscaping. Often the best way to bring your build to the next level is to incorporate the environment around it. A grand tower is nothing if it sits alone on a wide grass plane, and a Norse log house is empty if not for the pines it silhouettes. 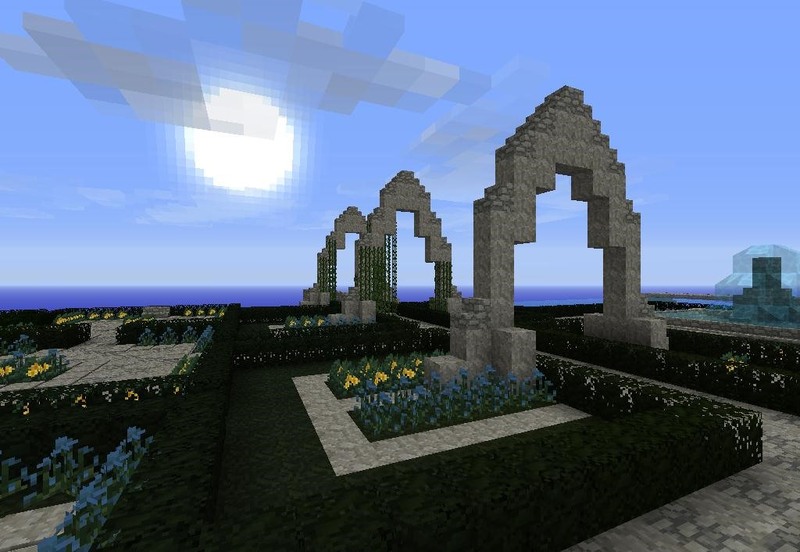 Let's take a look at some builds that owe much of their beauty to a proper use of landscaping. 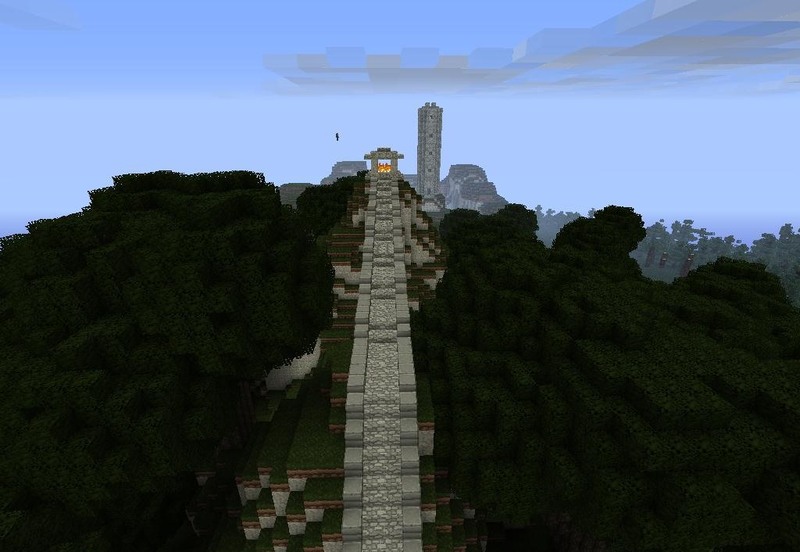 Here a really cool land bridge leading up to a firey beacon. Such an inspiring image would be little without the hill on which is resides or the trees that envelope it. 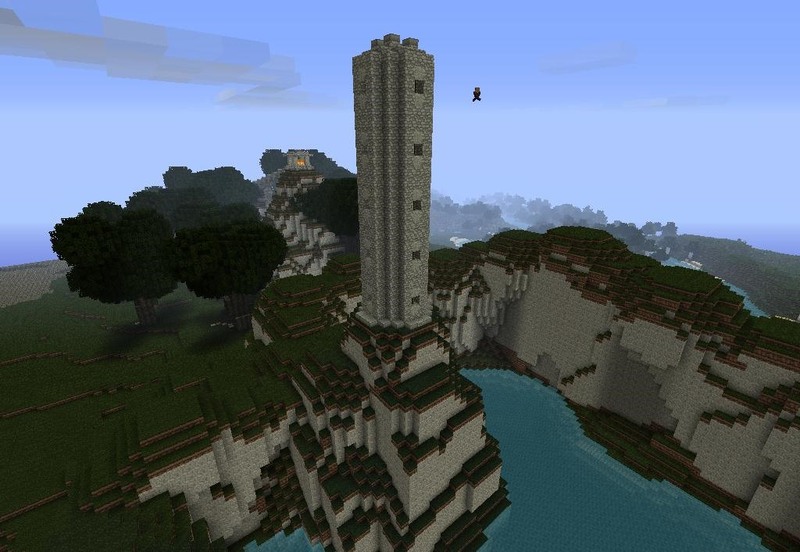 On the opposite side of the land bridge is an obstinant tower. To imagine such a structure without the lake before it or the cliffs on which it sits would rob it of its noble quality. 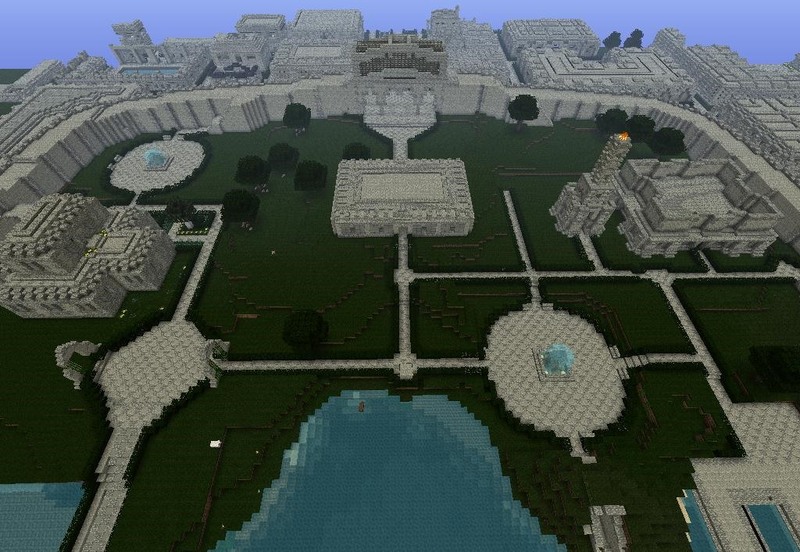 (1) Here is our server spawn, where players arrive when they log on. The structure itself is amazing, but the garden walks that shares its space adds a whole new element to the build. Note the shape of the hedges takes from the windows of the building. 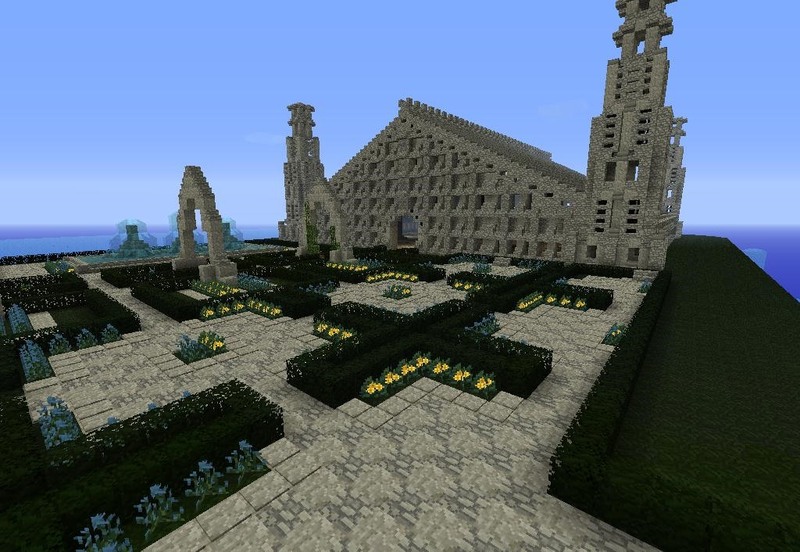 (2) Here is another view of spawn. The assymetric use of a large fountain gives the court yard a much more natural feel to it. If you've been trying to make something really epic, without the hours to spare, try to incorporate nature and landscaping into your build. The result is never a disappointing one. Planning, planning, planning. It cannot be emphasized enough. Planning can change a miserable mismatch of blocks into a piece of Minecraft art. Planning takes thought and consideration. What is it that you wish to accomplish? How can you make best use of space, dimension, and your build's theme? The decisions you make while planning will effect your project until the very end. This does not mean that you have to measure exact distance or stick to a gospel truth, but often creating something truly great is merely a manner of planning and careful thought. (1) Here is our city from above. While you may not know first hand the thought that went into this, the planning is obvious. Each building is given a specific place amongst others. The hedges, gardens, and streets attest to this. 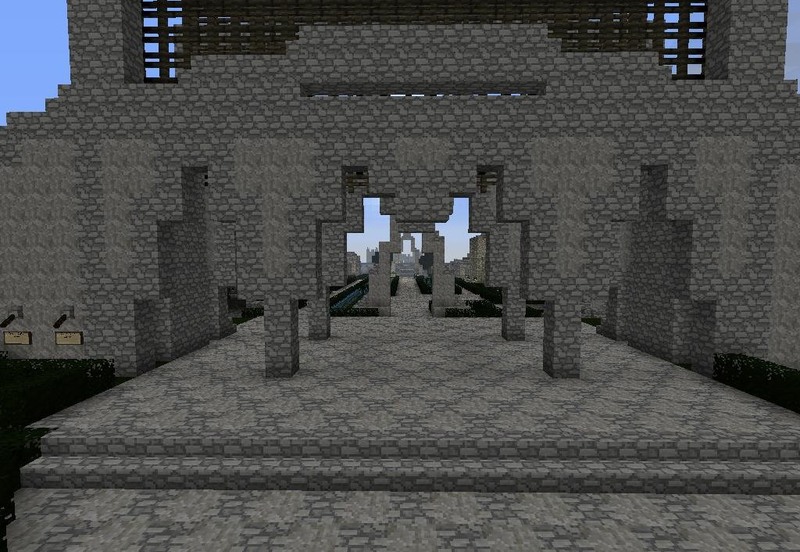 , (2) Here is a closer view of the entrance to our city. While there are fewer buildings here, a careful planning has still gone into this courtyard's contstruction. Whether your plan is a city, a space station, or an underground palace, planning your architecture ahead of time will save you many headaches later and results in stunning work. 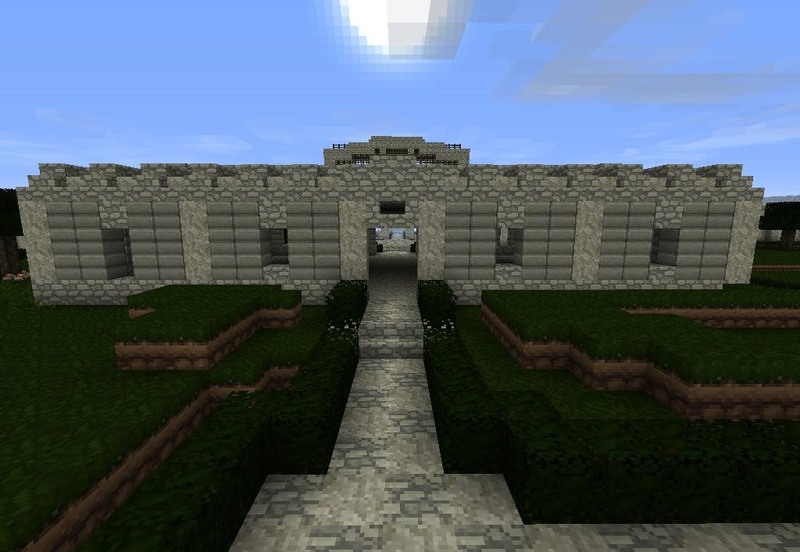 Creating something great in Minecraft requires much thought and practice, and while we encourage you to utilize this guide to help you in your projects, we equally encourage you to break these rules. 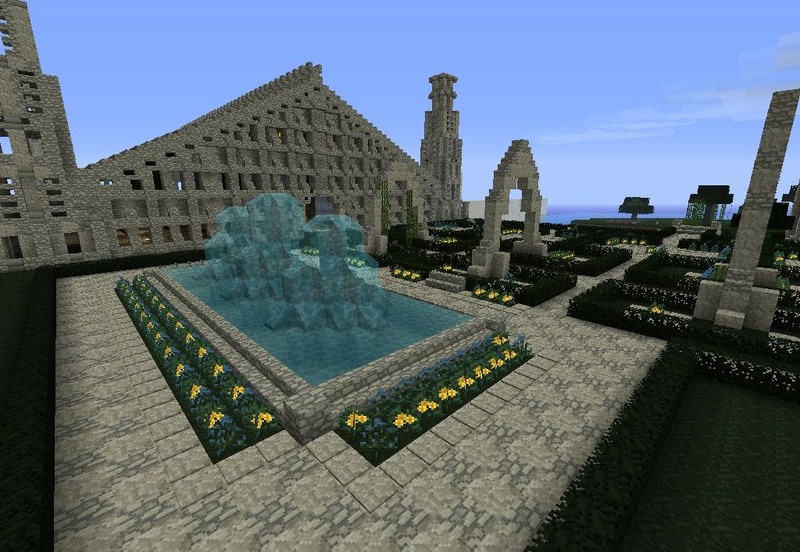 If your build doesn't require a theme, is separate of its landscape, or meant to look unplanned, then go for it! It is ultimately up to you what goes in your Minecraft world. We only hope to help inspire your creativity and enliven your work. A special thanks to Andrew, Shammatins, Leinad, Niko and all this others who helped make last Saturday's workshop a great one!